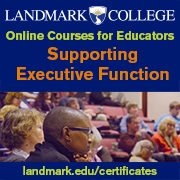 Learning disabilities (LD), sometimes referred to as “specific learning disorders,” are life-long, but adults who have LD can experience great success in all aspects of life when using their strengths together with the strategies, accommodations and technology that are most appropriate and effective for their individual needs. Learning disabilities are neurological disabilities that affect information processing. They may affect how a person learns, understands, communicates, and remembers information. Adults with LD may have been born with their disability, or they may have acquired it later in life. LD affects men and women equally. There is neither one type of learning disability nor one profile for adults with learning disabilities. There are many different patterns of difficulties. For example, one adult may have a serious reading disability, while another may be able to read adequately, but not be able to communicate thoughts in writing or have difficulty with math. Most people with LD (85%) have a reading disability, or dyslexia (The Neurobiology of Reading and Dyslexia, by Sally E. Shaywitz, M.D., and Bennett A. Shaywitz, M.D.). Some adults with LD will have difficulty with self-control, perceiving social situations appropriately, and getting along with other people. Learning disabilities are not related to low intelligence. In fact, most people with learning disabilities have average to above average intelligence, but the impact of the disability may impair their ability to function well in school, at home, or in the workplace. How are adults diagnosed with LD? A specific learning disorder is diagnosed through a clinical review of the individual’s developmental, medical, educational, and family history, reports of test scores and teacher observations, and response to academic interventions (Specific Learning Disorder fact sheet, American Psychiatric Association, 2013). The evaluator must be licensed to evaluate LD; typically, LD evaluations are conducted by psychologists, psychiatrists, neuropsychologists, licensed psychological counselors, or school psychologists. Heredity: Learning disabilities often run in the family, so many people with learning disabilities have parents or other relatives with similar difficulties. Incidents after birth: Head injuries, nutritional deprivation, and exposure to toxic substances can contribute to the development of learning disabilities. 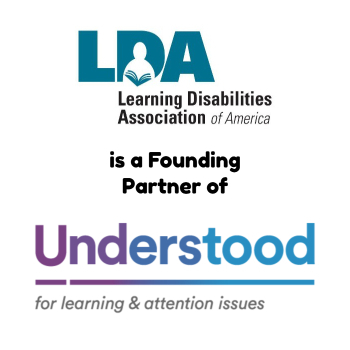 Adults with LD are protected by several civil rights laws, including the Rehabilitation Act of 1973, Section 504; the Americans with Disabilities Act (ADA) of 1990 and the ADA Amendments Act (ADAAA) of 2008; and the Workforce Innovation and Opportunity Act 2015, Subtitle F, Rights and Advocacy. In addition to these laws, the 5th and 14th Amendments to the Constitution provide equal protection under the law related to governmental actions. Typical strategies and accommodations that may help adults with LD include reading out loud, audio texts, color-coding for organization, use of graphic organizers (charts, diagrams, etc. ), having opportunities to re-state information in one’s own words, and one-on-one instruction in school or job training. Assistive technology (AT) is also helpful for adults with LD – at home, school, and work. 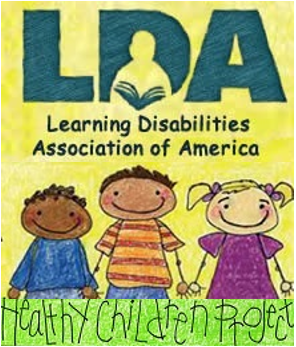 See LDA’s information about AT at https://ldaamerica.org/tools-for-life/. My brother who is 65 was diagnosed with LD in college, but was never given any tools to help him navigate the world! I think he may have Dyscalculia, along with Memory and Executive Functioning. We live in Austin, TX and I am wondering if there are “classes” taught which can teach him “work arounds” so he is not trapped by them any longer. His income is wouldn’t allow him to pay for such classes. Any suggestions? Today, there are many apps that assist with people’s challenge areas. I suggest checking out the various reviewed apps at Georgia Tech’s Tools for Life at https://gatfl.gatech.edu/favorite-search.php. You may also want to check into the Texas Technology Support at https://texastechnology.support/. It may be that Texas Rehabilitation Services can help him. Check out our information sheet, https://ldaamerica.org/wp-content/uploads/2013/10/Rehabilitation-Services-Administration-RSA.pdf. Hi my name is Anne and I am 53 years old. I was Born with F,A,S and I did not Graduate high school and I am a very slow Learner, I have a hard time focusing on things and I forget a lot. I’m looking for a program that Can can help me with Learning with my F.A.S . If u know of any programs out there I would be very grateful. To help you find resources for F.A.S., I first want to direct you to the Alaska Center for the Fetal Alcohol Spectrum Disorders: http://www.alaskacenterforfasd.org/. The center provides information for people of all ages. My next suggestion, is for you to reach out to a local adult education training center. Many adult education classes are free and can provide a learning program for improving basic skills in reading, writing, and math. Adult education classes provide educational support for adults who struggle with learning regardless of the reason. In Anchorage, I found the Adult Learning Center: http://www.akalc.com/. The website will give directions for registering for classes. My hope is these suggestions get you started. The important thing to remember is, it’s never too late to learn. Good luck!